Diagnose, treat, and manage equine skin disorders with the most comprehensive reference available! With 900 full-color photos, Equine Dermatology covers skin diseases ranging from those that merely annoy the horse to others that interfere with the horse's ability to function in riding, working, or show. Thorough coverage includes essential basics and practical diagnostic methods, therapies, and specific abnormalities and defects. The book describes the structure and function of the skin, and discusses disorders including bacterial, fungal, parasitic, viral, protozoal, allergic, immune-mediated, endocrine, metabolic, and nutritional diseases. It also covers congenital and hereditary defects, pigmentation abnormalities, keratinization defects, environmental skin diseases, and skin tumors. 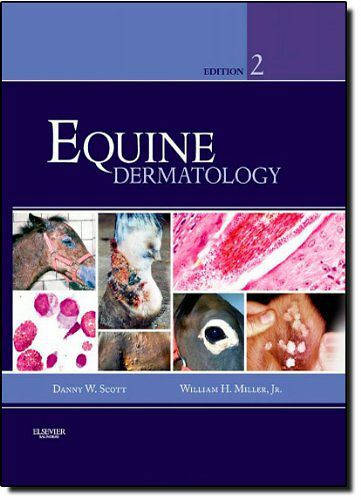 Written by renowned equine dermatologists Danny Scott and Bill Miller, this all-inclusive resource covers the latest dermatologic topics and the newest therapies.